adidas shares the good news that Spring 2021 will be the launch date of its first fully recyclable trainer that comes with a never-ending lifespan. Let’s hope that America has a new president then, who has already announced that the US is rejoining the Paris Climate Agreement. The adidas Futurecraft Loop trainer is a collab with Parley for the Oceans — an organisation working to raise awareness of the threat to the world’s oceans – to create the shoe, which will be made from reclaimed marine plastic waste. 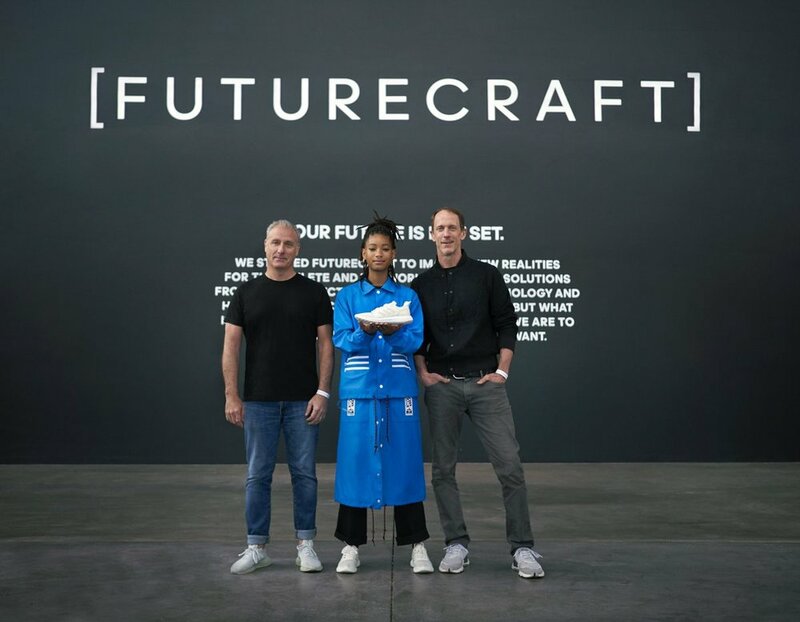 Where other adidas trainers are made from up to 12 different materials, the Futurecraft Loop will use just one – a type of thermoplastic polyurethane – and will then be assembled using glue. Crucially, TPU can be melted down once it has been used and laser machines will weld the parts of the shoe together, so avoid workers protecting themselves from the glue fumes. The idea is that once a pair of Futurecraft Loops are heavily worn, they will be recycled and repurposed by Adidas to create a new pair. Wired UK reports that 300 million pairs of running shoes are thrown away each year in the UK alone. In January 2019, adidas x Parley launched the first-ever tennis collection made from Ocean Plastic. Top tennis players, including Alexander “Sascha” Zverev, Caroline Wozniacki, Angelique Kerber, Jelena Ostapenko, Garbine Muguruza, Lucas Pouille, Dominic Thiem, and Jo-Wilfired Tsgona putting the new tennis gear to the test while simultaneously promoting ocean health awareness. Other adidas footwear projects are also in development and targeted for production. Parley developed the first global supply chain for upcycled marine plastic debris and introduced Ocean Plastic®, a range of eco-innovative materials which champion our vision for the Material Revolution. Ocean Plastic® is created from upcycled plastic waste intercepted by Parley from remote islands, shorelines, waters and in coastal communities. As a catalyst for progress and an immediate replacement for virgin plastic, Ocean Plastic® raises awareness as well as funding for education and eco-innovation initiatives supporting long-term solutions to marine plastic pollution. Our materials aim to inspire and empower the creative industries to build a better future. Parley sees the key to ending marine plastic pollution not in recycling, but in the redesign and replacement of harmful materials, methods and thinking. Plastic is a design failure. There is no closed-loop for a faulty material that never dies. We are therefore calling for a Material Revolution and inviting all members of the creative industries to take part by implementing Parley AIR: Avoid. Intercept. Redesign. If we can see things for what they are. If we can see what they could be. If the plastic we use we never throw away. If the end of one thing can be the beginning of the next. If we know that less can create more. If we can return, we reciprocate we regenerate. If we are here for others. If we can work as a team. All we have to do is connect. And the world opens up. The future’s about giving back. Enjoy this longer 5 minute documentary about the Futurecraft Loop Trainer. In my job as first head of product development for Victoria’s Secret and any division of the Limited, I know how I damaged the environment with my pursuit of exquisite colors. To achieve the results I desired, unknowingly I supported chemicals in dyes that were illegal in the United States, where our colors were drab and flat, with no real beauty. Everyone admired my color work and impeccable eye. But I was poisioning our rivers in South Korea, were I was a legendary leader in transforming the textile industry. That effort leaves me proud, but have always regretted my damage to the earth in my pursuit of beautiful colors that sparkled. This video is one I so appreciate, so watch adidas put their total values on the table in a production effort that can literally change our patterns of consumption. Watch it! They are talking 10-15 years for massive, global impact transformation.